Are you a manufacturer looking for more qualified leads? Start here. 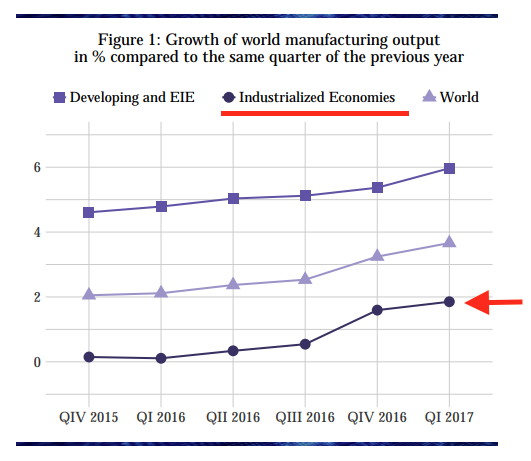 Worldwide manufacturing growth in the industrialized countries has been flat, and is forecast to remain flat for the foreseeable future. In a flat market, the fastest path to double digit growth for manufacturers is to steal share from less nimble competitors. However, in an era where the buyer can easily access product information on the internet that was once tightly held by the seller, the traditional approaches to sales and marketing are no longer effective. Also, it has become almost impossible for the seller to breach the technological barricades put up by the buyer who doesn’t want to be bothered with interruptive sales and marketing messages. The modern buyer doesn’t want to be pitched. They don’t want to be sold. Manufacturers who can provide helpful, educational and relevant information earn their customers’ attention and consideration. 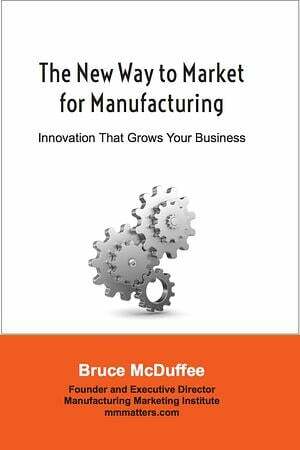 Innovative manufacturers who draw on their extensive internal expertise to educate their customers are quickly earning trust, closing more sales and stealing share. However, manufacturers’ biggest hurdle to accomplishing this breakthrough is a culture that has traditionally focused more on its products than the latent anxieties and desires of their customers. If you are a manufacturer ready to grow aggressively and steal share, consider this information as the primer to ignite that process. 8. How Much Should A Manufacturer Invest in Marketing? 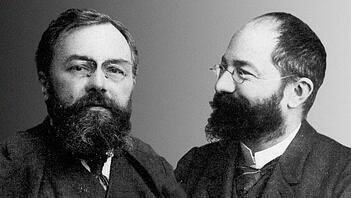 “Manufacturers inhabit a world littered with uneasiness. 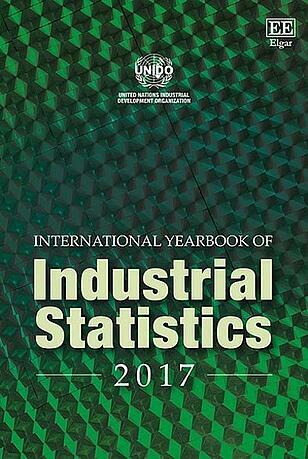 Manufacturing growth in industrialized economies is relatively flat. 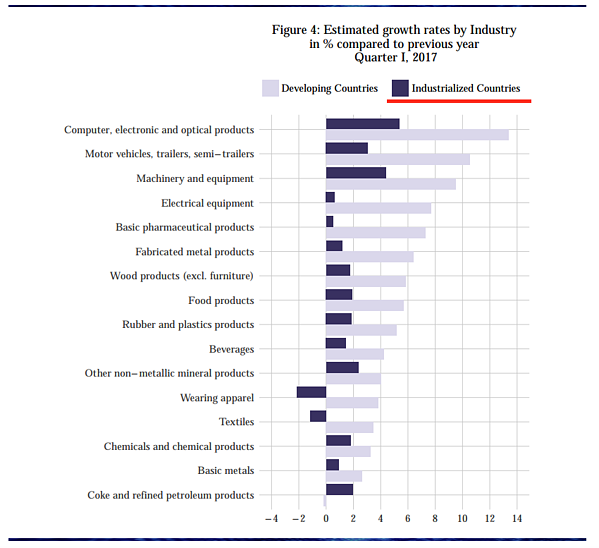 Some industries are doing better than others, but in the industrialized countries, the highest growth rates are less than 6%. As a manufacturer, you can no longer bet on a rising economic tide to lift your boat to acquire new customers and grow profitably. But your shareholders, board members and management want profitable revenue growth. So what can your company do? 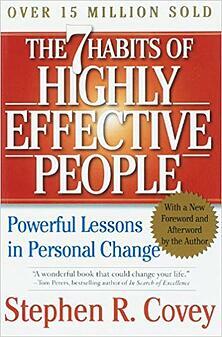 Philip Kotler, “The Father of Modern Marketing” is the author of over 60 books. 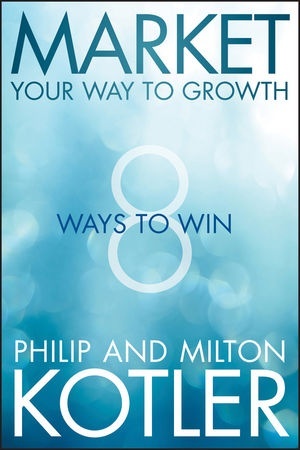 In his 2013 book co-authored with his brother Milton, Market Your Way to Growth: 8 Ways to Win, he addresses dealing with a low and slow growth rate. The authors explain that in such an economic scenario, companies have two broad alternatives – cutting costs and re-strategizing. Cutting costs alone as a response to declining demand usually has a cascading effect of cost cutting and layoffs all the way down the supply chain. This usually goes from bad to worse. And while it can lead to lower prices, customers become hesitant to buy because they expect to gain more by waiting for prices that might fall even further. Re-strategizing involves addressing issues such as if there are certain products, customer segments or geographic areas that are no longer profitable or that represent an opportunity. Answering questions like these allow a company to re-strategize and exploit a crisis, rather than becoming a victim of it. The book outlines eight pathways to profitable and sustainable growth, the first of which is to grow by building your market share. To do this in a flat market, you need to steal market share from competitors. 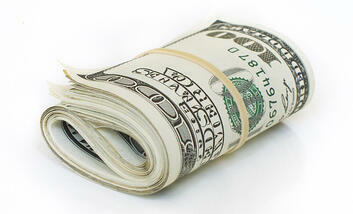 Every company should work hard to outperform its competitors by delivering a better offer. The ability to learn and change faster than your competitors may be the only sustainable competitive advantage. What should ultimately have your attention is not only new technologies emerging, but what is happening to your customers. Customers keep changing. Too many marketers are obsessed with the competition— the enemy— instead of focusing on the customers. For manufacturers, the subject of marketing is often maligned and misunderstood. From Andrea Belk Olson's book, No Disruptions: The New Future For Mid-Market Manufacturing, Chapter 8: "Why Marketing Matters"
"Marketing is a polarizing subject. Some organizations will swear by its value, while others define marketing by the tactics used: trade shows, brochures, websites, etc. Manufacturing has limited utility for embracing marketing.Often perceived as an unavoidable cost, marketing is often undervalued and underutilized. Sales are the king of cash flow and yet in manufacturing, effective marketing may be the difference between flat sales and accelerated growth." A word of caution: in your efforts to steal share from your competitors don’t rush to dust off that traditional sales and marketing playbook. "With the explosion of the web, ever-changing search algorithms, community sites, blogs, and social media, there are so many more ways to get information about your company and your products, but getting noticed is harder than ever. It's not about buying space today; it's about earning it. 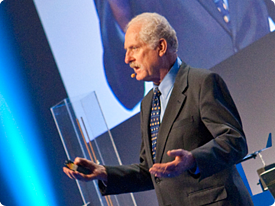 It's not about blasting out your message to hundreds of prospects; it's about getting them to come to you." For years, manufacturers relied on the familiar sales and marketing playbook and tactics of cold calling, direct mail, advertising, personal networking, traveling, one-to-one sales and industry events and trade shows. That approach worked for a long time. It made sense. Those methods helped keep the manufacturer's name top of mind. In the past, when a buyer was ready to research a purchase, one of the first places they went for more information was to the seller who they remembered. The seller had the information and the buyer wanted it. An effective salesperson could leverage the buyer’s hunger for information to guide, influence and, if necessary, strong arm the buyer toward a closed sale. Think about how we used to buy cars. Once upon a time, if you wanted to know more about the newest features on the latest model, you had to go to the car dealership. Those details were privileged information and the salesperson was the gatekeeper. Oh sure, you would eventually learn what you wanted to know, but on the salesperson’s terms and on the salesperson’s schedule. Buyers always hated trading a pound of flesh for information, but they had no choice. They were stuck. Until two things came along that changed everything. the internet and avoidance technology. First, there was the internet. The internet gave buyers the freedom to start researching their purchases WITHOUT having to endure the annoyance and manipulation of dealing with a salesperson. Today, your buyers have supercomputers in their pockets that they can use to research your company, your competitors, your prices, technical reviews, what your customers have said about you and so on. They can do this anywhere, at any time. All without having to talk to your sales team. It’s happening more often than you may realize. A groundbreaking study by CEB/Gartner revealed that in a B2B buying situation, the buyer is at least 57% through their purchasing process before they first reach out to a vendor. Other studies have shown that number to be higher. It varies by industry and product. But it’s a big number, and it’s growing. That means your potential customers are researching on their own. They are online asking questions and looking for answers. They are not involving you (or your salespeople) until they are more than halfway to making a buying decision. Where are they getting their information? The buyer-seller dynamic has changed. The seller does not control the information anymore. This buyer-seller information symmetry represents a seismic power shift. And what happens when buyers get so much information on their own? There’s less opportunity for salespeople to bond and build rapport with prospective customers. There’s no sense of reciprocity toward a salesperson who, in the past, would have provided information early (and throughout) the buyer’s journey. Armed with most of the information they need, buyers are more likely to focus on one thing upon finally contacting the vendor – negotiating the lowest price. Why do customers delay talking to vendors? 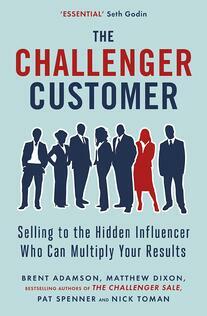 In The Challenger Customer: Selling to the Hidden Influencer Who Can Multiply Your Results by Adamson, Dixon, Spenner and Toman, the authors explain why buyers now wait so long to contact the seller – because they can. 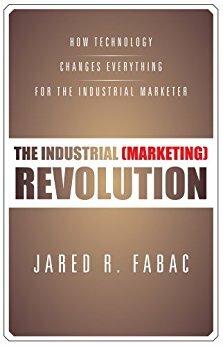 Much like the Industrial Revolution forever changed the way manufacturers produced goods, the Internet has completely and irrevocably changed the way we produce something even more important to modern consumers: information. The web has not altered the marketing landscape simply because we’re all addicted to the buzz and hum of modern technology. Instead, society is becoming increasingly addicted to technology and, thus, the Internet because it is the quickest, most effective, and simplest form of gathering information to make more informed decisions about available products. All marketing is information—and every development since the Internet came into the marketing vernacular—is another step toward more information, easier and faster. The Internet provides more information about you, your company, your brand, your products, your services, and your success. The second big development was avoidance technology. Modern buyers are masters in the art of sales pitch avoidance. Need proof? Think of yourself. How quick are you to answer that unknown caller, respond to that unsolicited email or accept a promotional-sounding LinkedIn request? Do you rush home with excitement to open mail that’s addressed to “Resident”? God forbid a stranger comes knocking on your front door. Your buyers are no different. Thanks to marketing interruption avoidance technology (ironically some of it developed by manufacturers), buyers can increasingly avoid unwanted, irrelevant, interruptive sales and marketing messages. What is interruption avoidance technology? Think about TV remote controls, caller ID, DVRs, satellite radio, ad blocking software, email spam filters and streaming audio and video (e.g. Spotify and Netflix). Everyone now has the power to ignore, delete and skip marketing and advertising messages.If your message isn’t relevant, useful or interesting, buyers can make it disappear with the push of a button or filter it out altogether. 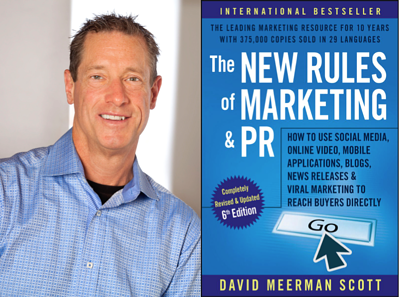 In 2007, David Meerman Scott published The New Rules of Marketing and PR: How to Use News Releases, Blogs, Podcasting, Viral Marketing and Online Media to Reach Buyers Directly. Ten years later and now in its 6th edition, the book has become an international bestseller in 29 languages, from Albanian to Vietnamese. If I may be so bold as to boil down into one word thousands of conversations I've had over the past several decades, as well as my more than 10 years worth of blogging and the entire contents of this book, it would be this: attention. Entrepreneurs, CEOs, and business owners want people to pay attention to their company. Marketers, PR pros, advertisers, and salespeople are on the payroll to generate attention. Hopefully, this book opened your eyes to a new approach to this classic problem. I've identified four main ways to generate attention in today's marketing landscape. You can buy attention with advertising such as television commercials, magazine and newspaper ads, the yellow pages, billboards, trade show floor space, direct-mail list, and the like. You can get attention from the editorial gatekeepers at radio and TV stations, magazines, newspapers, and trade journals. You can have a team of salespeople generate attention one person at a time by knocking on doors, calling people on the telephone, sending personal emails, or waiting for individuals to walk into your showroom. 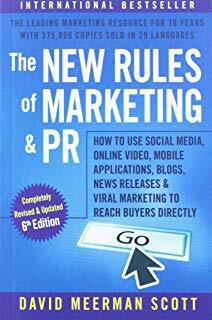 You can earn attention online by using the ideas in this book, creating something interesting, and publishing it online for free: a YouTube video, blog, research report, series of photos, Twitter stream, e-book, Facebook fan page, or other piece of web content. Your customers can research their purchases largely without having to contact your sales people and it’s become much more difficult to get their attention. When customers finally raise their hand and want to talk to you, it’s often to beat you up on price. 90% of customer buying decisions are starting online (Forrester). 75% of business-to-business (B2B) buyers use social media to research vendors (IDC). 74% of buyers are choosing the sales professional and company that is first to add value and insight to the buying journey (Forrester, Corporate Visions). Now, let’s go back to that 57% number. Remember, 57% represents the earliest point in a customer’s buying journey when they contact you, the seller. You aren’t hearing from them at all until they are more than halfway through their buying process. The solution is clear: You want to get as far left as possible on that timeline. You need to become part of the buyer’s research process as early as possible. You need to be present at every stage of that customer’s buying journey even though they may not have contacted you yet. How do you do that? By helping to educate your buyers. Because 74% of buyers are choosing the sales professional and company that is first to add value and insight to the buying journey (Forrester, Corporate Visions). Buyers don’t want to be sold to but they do want helpful, educational non-promotional information. That has led to the resurgence of what’s popularly known as content marketing. "a strategic marketing approach focused on creating and distributing valuable, relevant, and consistent content to attract and retain a clearly defined audience — and, ultimately, to drive profitable customer action." Content marketing can take many forms such as website articles, videos, printed material, webinars, podcasts and events. But as the definition says, it has to be valuable and relevant. 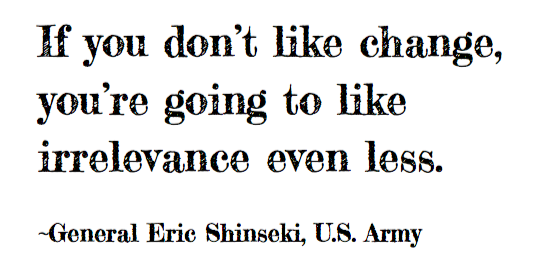 If it’s more promotional than valuable and relevant, buyers will ignore it. Manufacturers have long used content marketing to sell their wares. They still do. 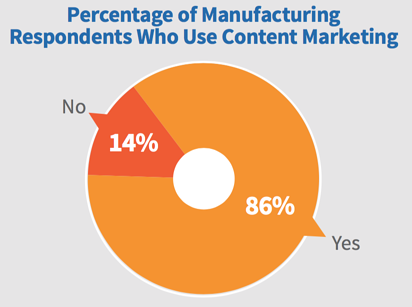 According to the Content Marketing Institute, 85% of manufacturers use content marketing. Let’s take a closer look at two manufacturers who were and remain content marketing pioneers: John Deere and Michelin. 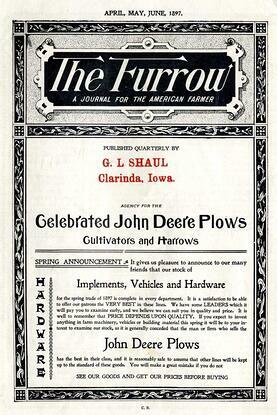 Deere & Company, arguably the most famous agricultural company in the world, launched, created, and distributed a printed magazine, The Furrow , in 1895. Deere leveraged The Furrow, not to sell John Deere equipment directly (like a catalog would do) but, instead, to educate farmers on new technology and how they use it to become more successful business owners and farmers. 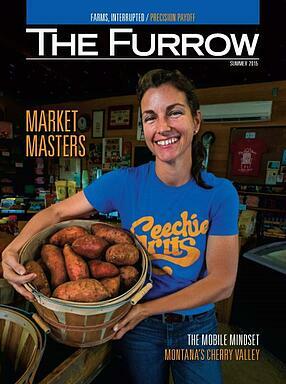 The Furrow was not filled with promotional messages and self-serving content. It was developed by thoughtful journalists, storytellers, and designers, and covered topics that farmers cared about deeply. The goal of the content was to help farmers become more prosperous and, of course, profitable. Now over 120 years later, The Furrow is still going strong. It is the most circulated farming magazine in the world, and is currently delivered each month to over 1.5 million farmers, in 12 languages, across 40 different countries. In 1900, fewer than 3,000 cars graced the roads of France. To boost the demand for cars and, accordingly, car tires, brothers and car tire manufacturers Édouard and André Michelin published the first edition of a guide for French motorists, the Michelin Guide. 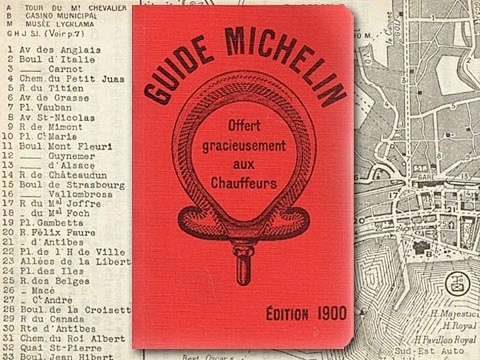 The brothers printed nearly 35,000 copies of this first, free edition of the Michelin Guide, which provided useful information to motorists, such as maps, tire repair and replacement instructions, car mechanics listings, hotels, and gas stations throughout France. 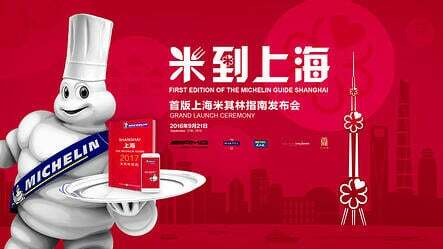 The Michelin Guides are still published to this day in countries around the world. 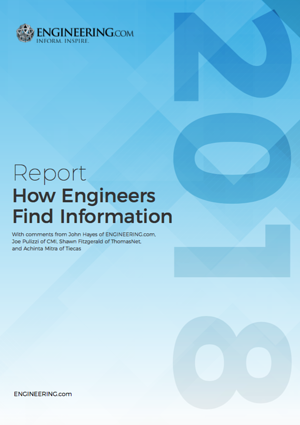 According to Engineering.com, engineers prefer digital content, like what can be found on your existing website. 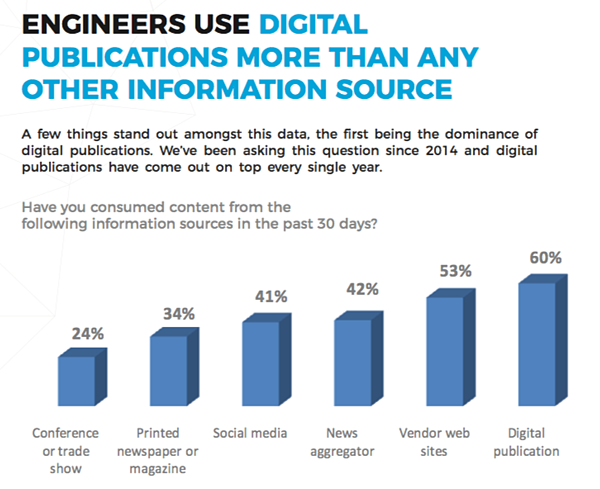 A recent study by IEEE Global Spec and Trew Marketing identified the types of content that engineers prefer, as well as where they go to get it. 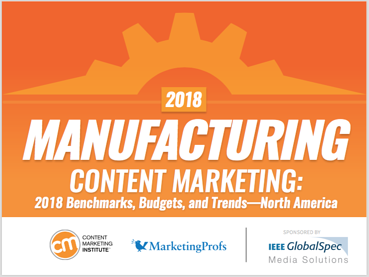 The current use of content marketing by manufacturers is examined in Manufacturing Content Marketing: 2018 Benchmarks, Budgets, and Trends— North America from Content Marketing Institute and MarketingProfs (sponsored by IEEE GlobalSpec). 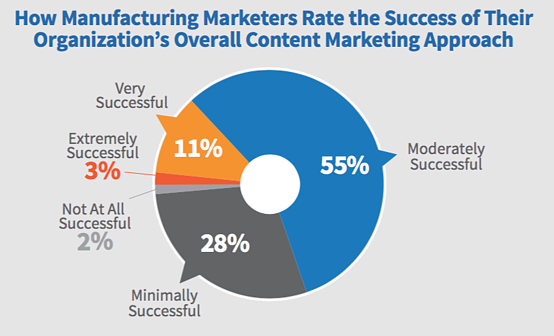 An overwhelming majority (86%) of manufacturers report using content marketing. 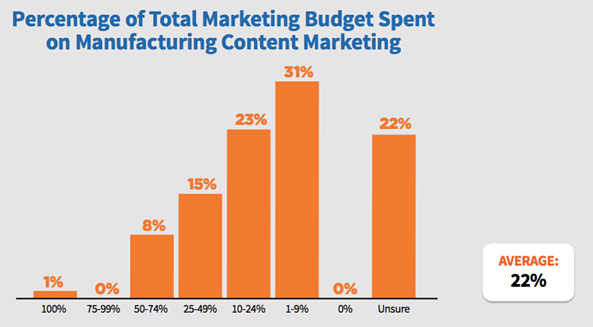 The average proportion of total marketing budget that is spent on content marketing = 22%. 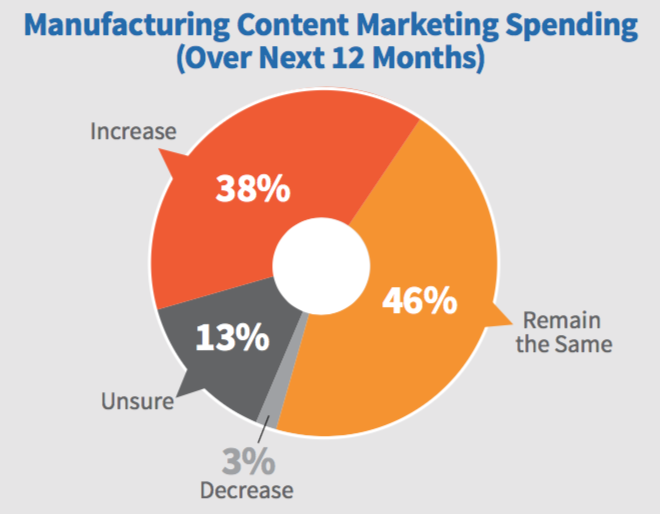 Most manufacturers (84%) plan to maintain or increase their content marketing budgets next year. 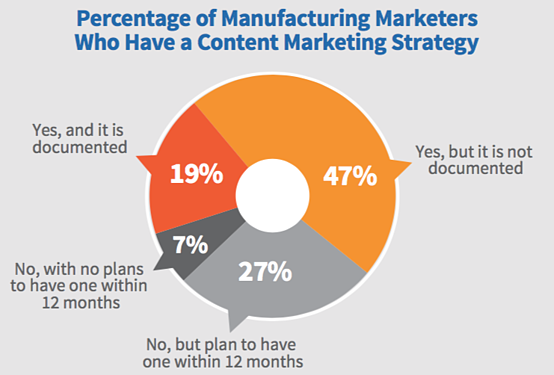 One of the biggest reasons for the lack of breakout success is that only 19% of manufacturers have a documented content strategy. And there’s one other elephant in the room that’s especially problematic for manufacturers trying to use content marketing to generate more awareness, leads and sales – their product. Most manufacturers make excellent, high-quality products. In fact, your products might even be better than they need to be. But making great products are now table stakes. When it comes to content marketing, most manufacturers need to stop talking about their products… first. "One thing that is fairly consistent across most manufacturing companies is the strong product culture that overpowers nearly all other functions, except maybe the sales function." For many manufacturers, the center of their universe is, and has long been, their product. 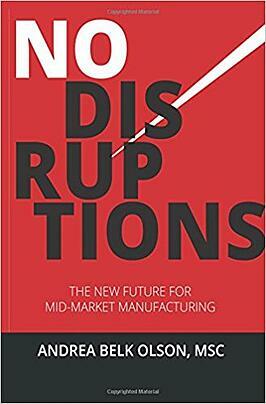 "In nearly all manufacturing companies, every aspect of the culture is centered on the product. Many firms have been building the same or similar products for 50, 100, or 150 years with great success up until a few years ago. Each and every employee loves that product. They understand that the only reason they have a job is because someone buys that product. They tell their friends and family about the wonderful product that is manufactured by their company. They attend meetings where everyone tries to come up with more reasons why people should want to buy that product. Their websites, brochures, and trade show booths tout the product. The power influencers within the company are those managers who own the product development, the employees who make the product, or the sales team who sells the product." Manufacturers have long marketed themselves with product information. And not much else. It makes sense. You make stuff, so you want to talk about that stuff. But in marketing, talking too much about your own stuff is a problem. In the internet era, taking a product-first approach is not how you become known, liked and trusted by buyers. When buyers search online, it is first and foremost, a search for solutions to their problems. Imagine you’re a manufacturer of farming equipment. You want to become known, liked and trusted by farming equipment buyers. Should your company produce content that focuses exclusively on the features and benefits of your specific products? Or should you create content that helps farmers solve their farming challenges and become more successful farmers? That’s what John Deere does with The Furrow. that are (sometimes literally) keeping their buyers up at night. Think about which group is larger: engineers who need to buy a product like yours today, or engineers who want to know how to solve a larger problem of which your product is part of the solution? If you lead with information for the latter, there will be more of the former who come to know, like and trust your company. The key to building credibility and trust is to present information that is of genuine value to solving your buyer’s problems. That credibility and trust will lead to a sense of preference for your company and products. As Stephen R. Covey, author of The 7 Habits of Highly Effective People outlined in Habit 5: Seek First to Understand, Then to be Understood. Successful companies demonstrate an understanding of their customers by helping them BEFORE pitching their products. "Your customers don’t care about you, your products, or your services. They care about themselves, their wants, and their needs. Content marketing is about creating interesting information your customers are passionate about so they actually pay attention to you." 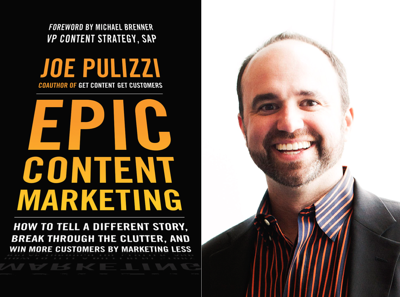 ~Joe Pulizzi, Epic Content Marketing: How To Tell A Different Story, Break Through The Clutter, and Win More Customers By Marketing Less. After about 75 years of employing one-way, interruptive marketing tactics, many manufacturers are struggling to learn how to BE what people are interested in, rather than interrupting what people are interested in. Why? Most manufacturers are risk-averse and yearn for a more “command and control” approach to marketing communications. But, as outlined earlier, that approach is increasingly ineffective for reaching and persuading the modern buyer. There is no longer a captive audience. Buyers have the information advantage. to marketing provides a tremendous opportunity. Embracing these new ideas can put you way ahead of peers who are hesitant to try new approaches. 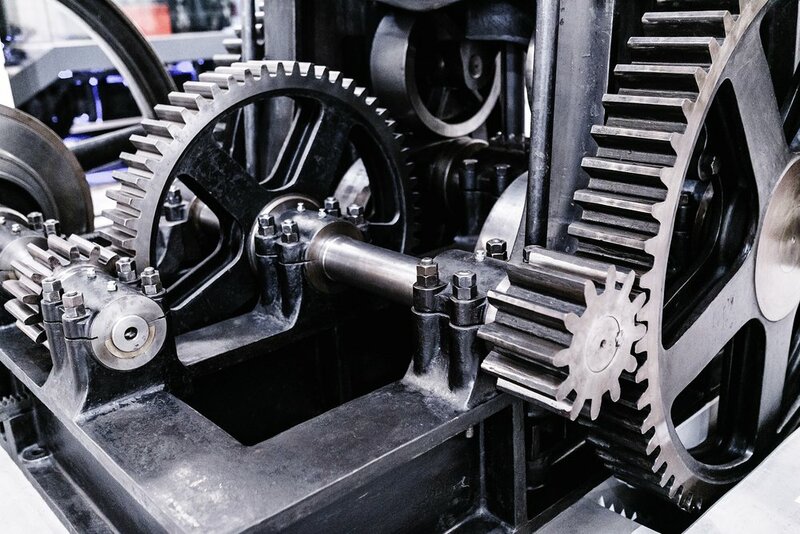 While they cling to their familiar product-first approach to sales and marketing, innovative manufacturers can realize double-digit growth if they are willing to embrace this modern approach to lead generation. An issue some manufacturers wrestle with initially is if they should invest in marketing if they are selling their products through distributors instead of directly to customers. Just like John Deere or an automobile manufacturer, you want to sell through your distributors, not just to your distributors. Building awareness and preference for your products by end users can help increase demand and sales for your distributors. And a strong lead generation program can help you recruit more distributors. Additionally, a steady flow of leads (and other marketing support) from the manufacturer to the distributor also helps to keep the manufacturer’s products top of mind with the distributor. But more importantly, by generating the lead with the customer you can follow up with the distributor to see if they have sold to the customer or if you can offer further assistance to the distributor. How Much Should A Manufacturer Invest in Marketing? It varies. But here’s how to start thinking about it. Marketing typically drives revenue rather than the reverse in most successful businesses. Marketing budgets can range from 0 to 40 percent of a company’s revenue, but what is right for your manufacturing company depends on your business. Setting the marketing budget is daunting for any company because there are so many ways to approach the task. Percentage of gross revenue is one of the more favored methods because it allows you to fluctuate your spending with your revenue. The U.S. Small Business Administration recommends spending 7 to 8 percent of your gross revenue for marketing if your total sales are less than $5 million. The 2017 CMO Survey, sponsored by the Fuqua School of Business at Duke University, Deloitte LLP, and the American Marketing Association, revealed that marketing budgets as a percentage of overall revenue is 7.5 percent. 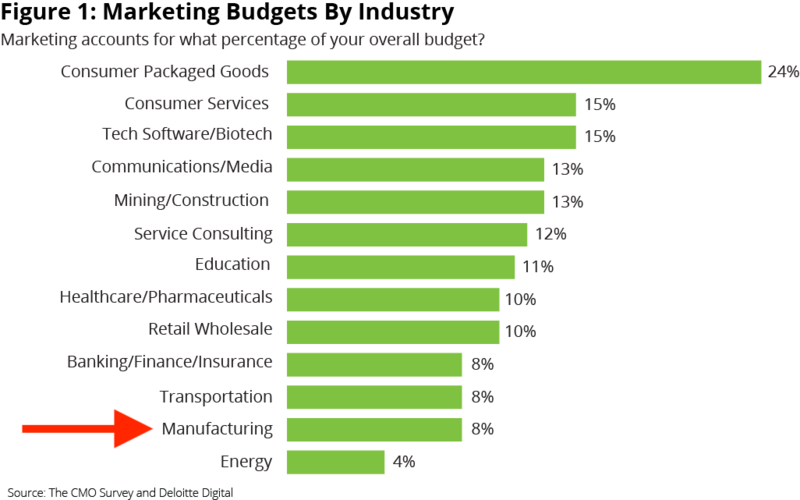 Consumer packaged goods companies allocate by far the largest percent of total company budget to marketing (nearly one quarter), followed by consumer services, tech software/biotech, communications/media, and mining/construction. Companies that spend the smallest portion of their budgets on marketing include transportation, manufacturing, and energy. It’s easy to become overwhelmed with all the new and seemingly confusing tactics now available to reach the modern buyer. A deep understanding of their customers. 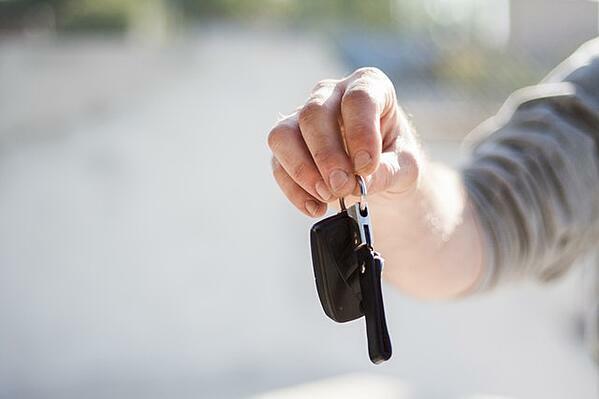 In this era when the buyer is now in control of the information and the purchase process, the surest key to success is to start with your buyer. that an excellent approach is first to do some buyer persona research." Despite what many self-styled marketing gurus will proclaim, there is no secret sauce for modern digital marketing. However, the next best thing is having a deep understanding of your buyer personas. to the people who might buy them." 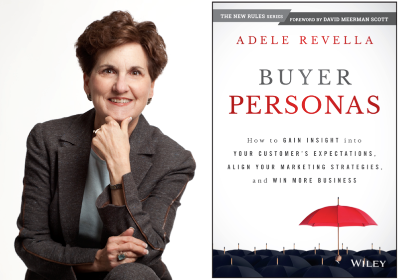 At the core of leveraging buyer personas are what the author calls “The 5 Rings of Insight.” Understand these buyer insights and you’ll have an unfair advantage over your competition. You’ll gain a deep understanding of what your customers real needs are, how they research a solution like yours and how they make the decision to buy (or not buy) from you. Priority Initiative: What triggers your buyer to seek a new solution? Success Factors: What does your buyer want or need from your solution? Perceived Barriers: What gives your buyer second thoughts about your solution? Decision Criteria: What is most important to your buyer when choosing a solution? Buyer’s Journey: How does your buyer choose a solution and who else is involved in the process? The full process of developing buyer personas takes time, research and involves interviews with those who fit your persona archetype. But the bottom line is that, armed with these insights, your product development, business development, marketing and sales, and customer service will be better informed and aligned to generate more happy customers and profitable growth. Once you understand more about your buyer, the next step is deciding how to connect with them. As mentioned earlier, starting a content marketing effort without a documented strategy is a recipe for disaster. 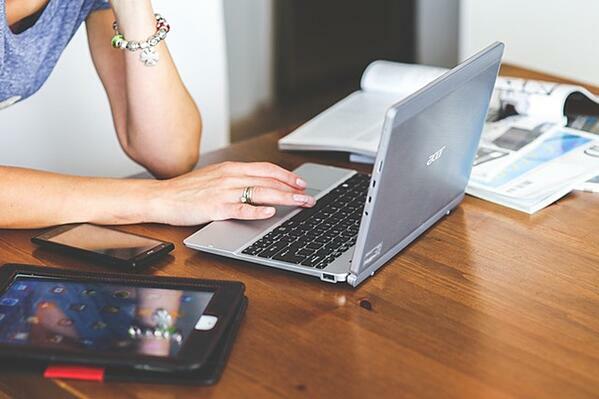 So what is a content marketing strategy and what should it include? A content marketing strategy is an outline of your key business and customer needs, along with a detailed plan for how you will use content to address them. Your personas and content maps: This is where you describe the specific audiences for whom you will create content, what their needs are, and what their content engagement cycle might look like. You may also want to map out content you can deliver throughout their buyer’s journey in order to move them closer to their goals. 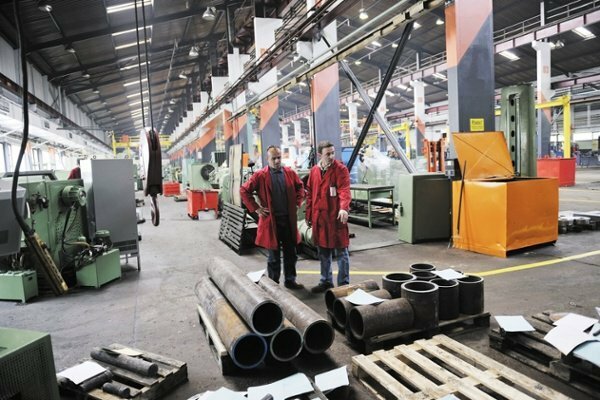 Manufacturing Continues to Evolve – Will You? Adoption of each was forced by a change in external circumstances. Manufacturing is now entering an era that will be characterized and driven by customer centricity. Supply is outstripping demand. It’s a buyer’s world. Manufacturing success in the future will require a greater focus on the needs of the customer instead of the capabilities of the manufacturer. "As consumers become empowered with more information and insights, and as attitudes embodied in previous generations evolve, product value is moving away from price, functionality, performance, and even brand. Instead, product value is tied to how well the product solves a basic customer need or fulfills a specific customer desire, as other fundamental mandates around trust, loyalty, and customer priorities rapidly change." In a similar vein, getting the attention of the modern buyer to increase awareness, preference and sales requires a similar customer centricity. Manufacturers that are focused first on educating and helping their buyers are beginning to achieve growth by stealing share from competitors. As a new generation of manufacturers jettison the increasingly ineffective, interruptive approaches to marketing and adopt a modern customer-centric approach to lead generation, an inflexion point of acceptance will be quickly reached. After that, most manufacturers will be racing to catch up with their more innovative competitors who will have built a substantial competitive advantage of building their own audience of buyers. are you going to act now or react later?